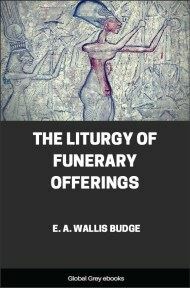 Chapters include: Antiquity of Magical Practices in Egypt; Magical Stones or Amulets; Magical Figures; Magical Pictures and Formulæ, Spells, Etc. ; Magical Names; Magical Ceremonies; and, Demoniacal Possession, Dreams, Ghosts, Lucky and Unlucky Days, Horoscopes, Prognostications, Transformations, and the Worship of Animals. 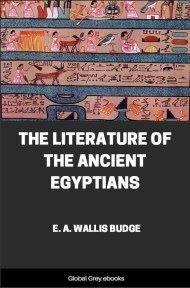 A STUDY of the remains of the native religious literature of ancient Egypt which have come down to us has revealed the fact that the belief in magic, that is to say, in the power of magical names, and spells, and enchantments, and formulæ, and pictures, and figures, and amulets, and in the performance of ceremonies accompanied by the utterance of words of power, to produce supernatural results, formed a large and important part of the Egyptian religion. And it is certain that, notwithstanding the continuous progress which the Egyptians made in civilization, and the high intellectual development to which they eventually attained, this belief influenced their minds and, from the earliest to the latest period of their history, shaped their views concerning things temporal as well as spiritual in a manner which, at this stage in the history of the world, is very difficult to understand. The scrupulous care with which they performed their innumerable religious ceremonies, and carried out the rules which they had formulated concerning the worship of the divine Power or powers, and their devotion to religious magic, gained for them among the nations with whom they came in contact the reputation of being at once the most religious and the most superstitious of men. 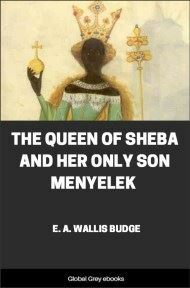 That this reputation was, on the whole, well deserved, is the object of this little book to shew. Egyptian magic dates from the time when the predynastic and prehistoric dwellers in Egypt believed that the earth, and the underworld, and the air, and the sky were peopled with countless beings, visible and invisible, which were held to be friendly or unfriendly to man according as the operations of nature, which they were supposed to direct, were favourable or unfavourable to him. In -nature and attributes these beings were thought by primitive man to closely resemble himself and to possess all human passions, and emotions, and weaknesses, and defects; and the chief object of magic was to give man the pre-eminence over such beings. The favour of the beings who were placable and friendly to man might be obtained by means of gifts and offerings, but the cessation of hostilities on the part of those that were implacable and unfriendly could only be obtained by wheedling, and cajolery, and flattery, or by making use of an amulet, or secret name, or magical formula, or figure, or picture which had the effect of bringing to the aid of the mortal who possessed it the power of a being that was mightier than the foe who threatened to do evil to him. 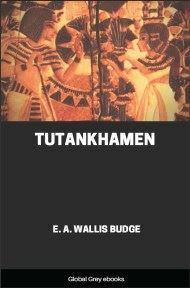 The magic of most early nations aimed at causing the transference of power from a supernatural being to man, whereby he was to be enabled to obtain superhuman results and to become for a time as mighty as the original possessor of the power; but the object of Egyptian magic was to endow man with the means of compelling both friendly and hostile powers, nay, at a later time, even God Himself, to do what he wished, whether the were willing or not. 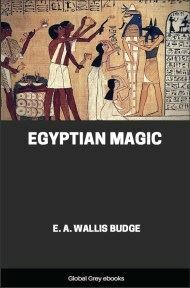 The belief in magic, the word being used in its best sense, is older in Egypt than the belief in God, and it is certain that a very large number of the Egyptian religious ceremonies, which were performed in later times as an integral part of a highly spiritual worship, had their origin in superstitious customs which date from a period when God, under any name or in any form, was unconceived in the minds of the Egyptians. Indeed it is probable that even the use of the sign which represents an axe, and which stands the hieroglyphic character both for God and "god," indicates that this weapon and. tool was employed in the performance of some ceremony connected with religious magic in prehistoric, or at any rate in predynastic times, when it in some mysterious way symbolized the presence of a supreme Power. But be this as it may, it is quite certain that magic and religion developed and flourished side by side in Egypt throughout all periods of her history, and that any investigation which we may make of the one necessarily includes an examination of the other. 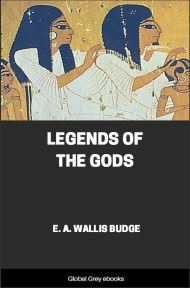 From the religious books of ancient Egypt we learn that the power possessed by a priest or man who was skilled in the knowledge and working of magic was believed to be almost boundless. By pronouncing certain words or names of power in the proper manner and in the proper tone of voice he could heal the sick, and cast out the evil spirits which caused pain and suffering in those who were diseased, and restore the dead to life, and bestow upon the dead man the power to transform the corruptible into an incorruptible body, wherein the soul might live to all eternity. His words enabled human beings to assume divers forms at will, and to project their souls into animals and other creatures; and in obedience to his commands, inanimate figures and pictures became living beings and things which hastened to perform his behests. The powers of nature acknowledged his might, and wind and rain, storm and tempest, river and sea, and disease and death worked evil and ruin upon his foes, and upon the enemies of those who were provided with the knowledge of the words which he had wrested from the gods of heaven, and earth, and the underworld. Inanimate nature likewise obeyed such words of power, and even the world itself came into existence through the utterance of a word by Thoth; by their means the earth could be rent asunder, and the waters forsaking their nature could be piled up in a heap, and even the sun's course in the heavens could be stayed by a word. 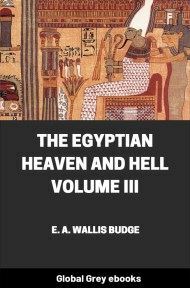 No god, or spirit, or devil, or fiend, could resist words of power, and the Egyptians invoked their aid in the smallest as well as in the greatest events of their lives. To him that was versed in the lore contained in the books of the "double house of life" the future was as well known as the past, and neither time nor distance could limit the operations of his power; the mysteries of life and death were laid bare before him, and he could draw aside the veil which hid the secrets of fate and destiny from the knowledge of ordinary mortals.